Do you know what impetigo is? Impetigo is a contaminated skin infection. It often occurs on the face, nose, legs and arms. Impetigo is caused by 2 kinds of bacteria. They are streptococcus pyogenes and staphylococcus aureus. These bacteria penetrate the skin through open wounds, cut, a bite of insects, etc. and cause the infection. People of all ages can catch impetigo. However, it is common among infants and babies . Being exposed to moisture weather. Catching some other kinds of skin infection. The symptoms of impetigo are different upon different types of impetigo as below. This is also known as “nonbullous impetigo”. It often occurs in children and so contaminated. The symptoms of this kind include red sores appearing around their mouth and nose, causing the itchy rash. This kind of impetigo happens mainly in the children under 2. The symptoms consist of the blisters on the torso, legs as well as arms. The blisters make the areas around them become itchy and red. This is the most serious kind of impetigo. The blisters are painful, causing open sores. Having the urine of pink or tea color. Becoming larger of the redness and blisters. The first step in curing a skin sore may be cleaning and drying up the sore. White vinegar is so good to clean the infection, helping to prevent the infection from spreading. 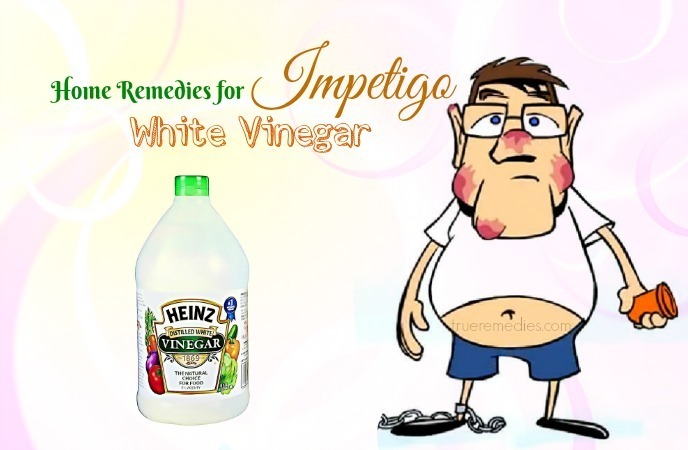 So, it is one of the top home remedies for impetigo that you should apply at home. Take a tablespoon of white vinegar which is distilled. Add 2 cup of warm water to the bowl. Soak the ball in the mixture. Use the ball to wash the skin infected. Dry the skin area by a clean towel or cloth. 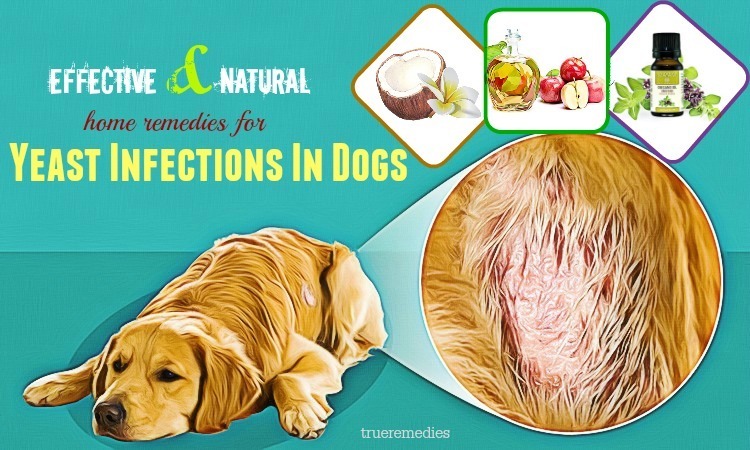 Apply some antibiotic ointment to the infected areas. Use gauze to cover the ointment. Note: Avoid rubbing the infected areas hard when you wash them because it can result in irritating the skin. Heat therapy is also a good way to combat against impetigo. In generally, bacteria cannot survive in a too high heat. 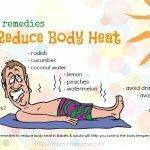 Therefore, heat can destroy the bacteria causing impetigo. In addition, heat works well to make the sores due to impetigo dry and clean. Put it in some hot water. Squeeze the washcloth for eliminating excess water. Use the washcloth to cover on the areas affected for several minutes. Do this method a few times every day. Tea Tree Oil may be not a strange ingredient to you as a natural remedy for a number of health issues. 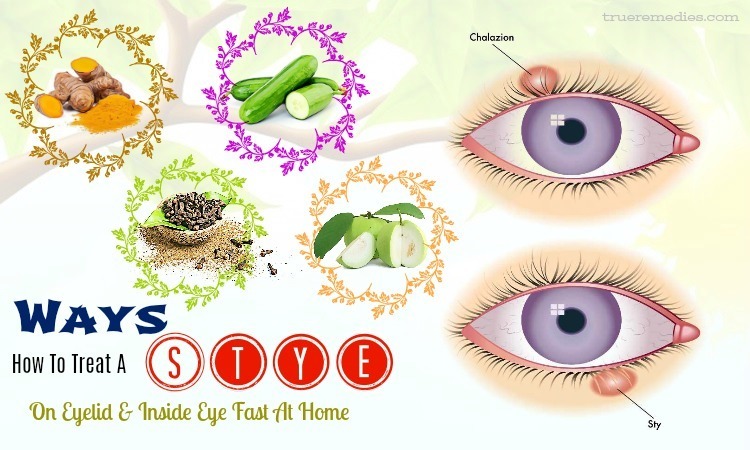 Tea tree oil is the inevitable ingredient in the products for cleaning and cosmetics ones. As to impetigo, tea tree oil has a number of benefits on it. Firstly, it helps to stop the infection from spreading. Secondly, thanks to its property to combat against microbes and inflammation, tea tree oil is a wonderful ingredient for healing the infection as well as removing symptoms of impetigo and scabies as well . Take a tablespoon of olive oil. Pour some drops of the tea tree oil to the cup. Use the mixture to apply to the areas affected. Leave the mixture on the affected areas for about half an hour. Wash the mixture off with warm water. Continue doing for several day. Pour some drops of tea tree oil to the basin. Wash the infected areas with the mixture several times every day. The extract from grapefruits is also considered as one of great home remedies for impetigo. Owning its antioxidant and antibacterial, it is really effective to cure the infection caused by impetigo . Pour 2 tablespoons of water in the bowl. Pour some drops of the extract from grapefruit seeds. Use a clean cotton ball to soak in the mixture. Then, cover the affected areas with the soaked ball twice every day. Continue doing for a week despite the feeling of some itching on the first times of use. Consume grapefruit seed extract supplements 2 times every day upon your doctor’s prescription. The next home remedy for impetigo that you should not miss out is garlic. It can’t be denied that garlic is so useful for treating many kinds of health problems. 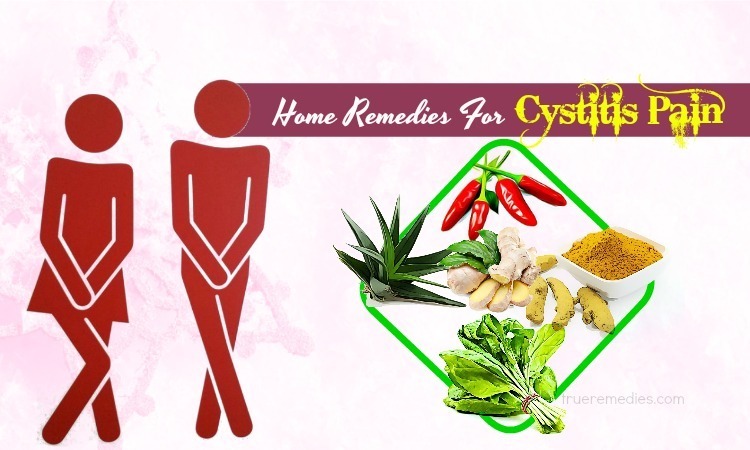 It is believed that it is a magic home ingredient for most of diseases. As to impetigo, thanks to its antibiotic property it works so well to destroy the bacteria resulting in impetigo. Furthermore, using garlic, the symptoms of impetigo, including pain and itchiness will be removed rapidly. Take about 2 garlic cloves. Put a pan on the heat. Add a tablespoon of sesame oil to the pan. Then, put the minced cloves in the pan to fry them. Leave the mixture cool down. Next, use the achieved oil to apply to the areas affected 2 times every day. Doing this for several days. Include garlic in your daily diet. Take garlic supplements upon your doctor’s prescription. Manuka honey is considered as the most beneficial kind of honey all over the world. It is very special because it comes from New Zealand and it is produced by the bees pollinating Manuka bushes. The benefits of Manuka honey are so great. It can treat sore throats, the issues relating to digestive system, gingivitis, etc. Impetigo is not an exception . 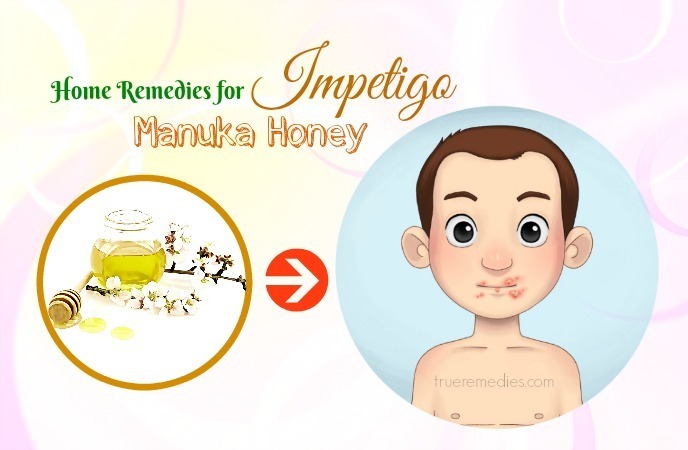 Thanks to its powers to fight bacteria, and to heal sores and wounds, Manuka honey contributes to stop development of the bacteria causing impetigo. Moreover, this honey can help to accelerate the recovery process of the sores caused by impetigo as well as strengthen the immune system. Daub a little Manuka honey on the skin areas affected. Leave the honey sit on the areas for several hours. Then, use warm water to wash the honey off. Do this method several times every day. Continue doing this for some days. Consume about 2 teaspoons of Manuka honey every day. Goldenseal is one of the next home remedies for impetigo that you should try. With its antiseptic and antibacterial property, goldenseal works very effectively not only to disinfect the infected skin areas but also to improve our immune system . Add a cup of hot water to the glass. Leave the mixture steep for about 10 minutes. Clean the affected skin areas with the tea 2 times every day. Do this method for several days. Use goldenseal cream to apply to the infected areas twice every day. Continue applying for a week. Take goldenseal supplements upon your doctor’s consultation. Thanks to the great effect of aloe vera, including the ability to fight bacteria, inflammation as well as the power to heal the skin, aloe vera is also regarded as one of the good home remedies for impetigo. It is effective not only to heal the sores due to impetigo but also to destroy the bacteria causing impetigo. Additionally, the antioxidants and the minerals, such as iron, copper which are good for healing process contained in aloe vera can strengthen the immune system for speeding up the healing and recovery process. Wash a leaf of aloe vera. Use a knife to peel it. Extract the gel of it. Then, use the gel to apply to the skin affected. Leave the gel sit on the skin for half an hour. Repeat this process twice every day. Continue doing this method for a week to get best result. Consume the juice of aloe vera every day. As we know, zinc is an inevitable factor in improvement of the immune system. Along with cellular process, zinc can stop the infections caused by impetigo as well as helps premature babies avoid to get impetigo. A study showed that taking zinc supplement of pregnant women will help their babies to keep impetigo away. Include the foods which are rich in zinc, including beans, whole grains, etc. in your daily diet. Take a 15mg or 25mg zinc supplement every day upon your doctor’s consultation. You can use cleavers as an effectively natural solution for curing impetigo. Cleavers can help to combat against the bacteria causing the infection in impetigo. In addition, they help to alleviate the inflammation caused by impetigo. Pour a cup of water to a pot. When the water boils, add a tablespoon of cleaver leaves in the pot. Leave the mixture simmer for a few minutes. Allow the mixture to steep for about 10 minutes. Consume the liquid every day. Wash some cleaver leaves carefully. Blend them to make a paste. Use the paste to cover on the skin areas affected. Leave the paste on the skin areas for about 15 minutes. Use a clean towel or cloth to dry the areas. Apple cider vinegar has the power to make the lesions and the sores due to impetigo dry. It also can combat against bacteria thanks to its antibacterial property. Prepare a cup of water. Pour an amount of apple cider vinegar to dilute it. Use a clean cotton ball to soak it in the mixture. Squeeze the ball to get rid of excessive water. Dab the ball on the skin areas affected. Let the mixture dry completely. 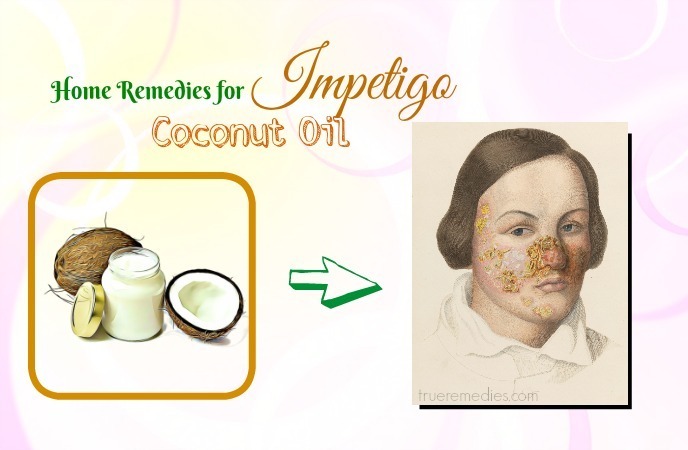 You can also use coconut oil to fight impetigo, which is considered as a far-reaching home remedy for treating impetigo. With the lauric acids, coconut oil can destroy bacteria resulting in the impetigo infection as well as prevent them to penetrate in the skin. It is also used as a lotion to help the skin to defend against bacteria, fungi, etc. In addition, coconut oil can contribute to strengthen the immune system, enhancing the ability to fight different kinds of diseases. Pour coconut oil in a clean cotton ball. Dab the ball on the areas infected. Let the oil dry completely. Do the method once every day to accelerate the recovering and healing process. With the power of combating inflammation, myrrh is also regarded as a good remedy for treating impetigo. It can help to fight the bacterial resulting in the impetigo infections as well as alleviate the redness as a result of the inflammation due to impetigo. In addition, some studies proved that myrrh oil can greatly strengthen the immune system, helping to speed up the healing and recovering process. 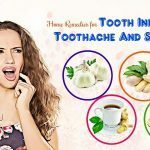 Myrrh oil is used associated with a little honey which plays the roles a disinfectant for the sores and wounds creates one of the best home remedies for impetigo that you should apply. Take an amount of myrrh oil. Then, add some raw honey to the cup. Cover the areas affected with the mixture. Leave the mixture on the areas for about 15 minutes. Then, wash it off with water. Olive oil contains oleuropein as well as rutin, which are the so effective chemicals for combating against the bacteria accounting for impetigo. Therefore, you can use olive oil as one of easy home remedies for impetigo that you can apply to save yourselves from this disease. Studies have shown that olive oil helps not only to stop the infection from spreading to other skin areas but also to clean the sores due to impetigo. Take an amount of olive oil. Apply it to the skin areas infected. Let the oil sit on the areas for about 10 minutes. Do this way once every day. Epsom salt has its wonderful power to remove the symptoms, such as irritation and itching due to impetigo. The bacteria causing impetigo will be eliminated thanks to the antibacterial property of Epsom salt. Prepare a tub filled with water. Pour an amount of Epsom salt to the tub. (A cup of the salt is recommended). Put the skin areas infected in the tub for about 20 minutes. Then, take a bath and dry the infected areas with a clean towel. Apply this remedy once every day. Among the essential oils, lavender oil is the best one to combat against impetigo. It is because lavender oil has its power to fight bacteria causing the impetigo infections. Pour a drop of lavender oil on the ball. Then, slightly apply the ball on the infected areas, such as blisters. Let the ball sit on the blisters for as much as possible. Remove the ball and leave the blisters dry naturally. Apply this remedy 4 times every day to get best results. Note: Avoid using the same cotton ball for different treatments so that the infected areas are not infected further. In this tip, we will guide you the way to prepare a gel which has the power to strengthen the healing process, combat against bacteria due to impetigo. You can completely make the gel by yourselves. Take 50mgs of the gel extracted from aloe vera. Add about 12 drops of the oil of lemon grass. Also add the same quantity of the patchouli essential oil. Mix the mixed gel well. Cover the mixed gel on the skin areas affected. Let the gel dry completely. Apply this remedy about 3 times every day. Pour 50ml of olive oil in a cup. 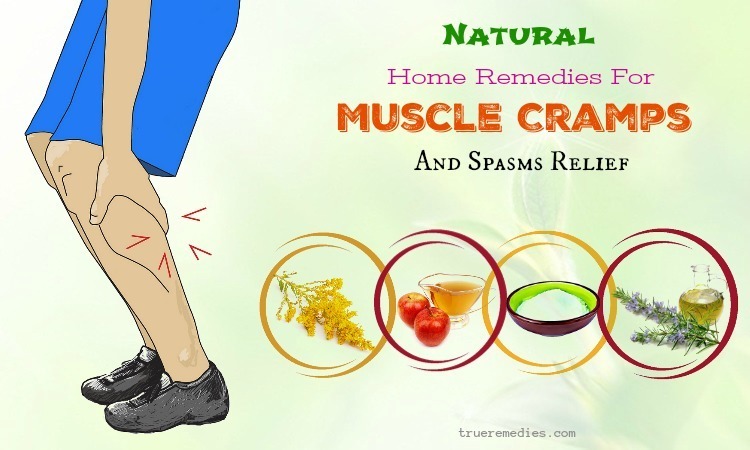 Take 3 drops of the oil of lemon grass. Take the same amount of tea tree oil. Also take the equivalent amount of lavender essential oil and patchouli essential oil. Put all of the oils above in the cup to dilute them. Apply the mixture on the skin areas infected. Above is the natural home remedies for impetigo which help you to cure your impetigo without taking medicine. However, if your condition is not improved, you should go to see a doctor for a proper treatment. 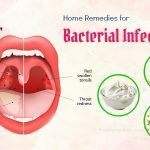 We hope that the effective natural ways for treating impetigo in the article of our 17 home remedies for impetigo are useful for you. 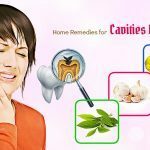 Now you can choose some of the remedies to apply at home to alleviate as well as treat the disturbing symptoms of impetigo. 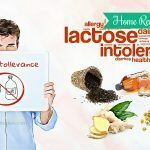 If you want to share any ideas or any contributing comments about our article of “17 home remedies for impetigo” introduced in Home Remedies Category, don’t hesitate to raise your comments and questions under this article. We will try to give feedback as soon as possible.